I was excited by the patterns created depending on how the triangles were placed! All three of these were made with the same six triangles! I just rotated them differently to see the different options. In an effort to do things the "right way," I wanted to use mitered corners for the borders. I used the three coordinating prints as the borders. For quilting, I stitched in the ditch of each triangle. I used my 1/4" foot on my Bernina Record 930. There were a couple puckers in the backing fabric, but I was pleased with how the front looked! I wanted to do the binding differently than I had on my first quilt. I spent some time reading and watching a few more tutorials. This time, after stitching the binding to the front, I used a straight stitch to sew again on the front side just barely onto the binding. I liked the look much better than my first quilt. However, after seeing other quilts at the quilt shop, I realized I could just stitch in the ditch from the front! 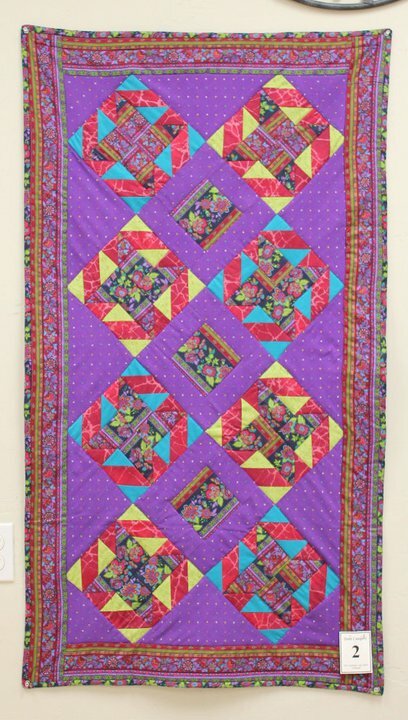 My mom and I entered our quilts into the contest. There were only four entries. 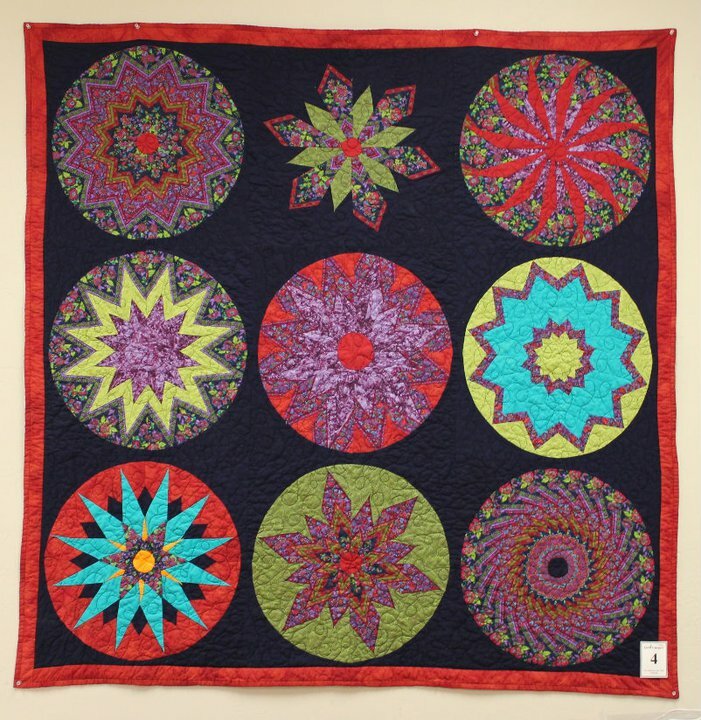 However, the fourth entry was a much larger quilt than the other three. 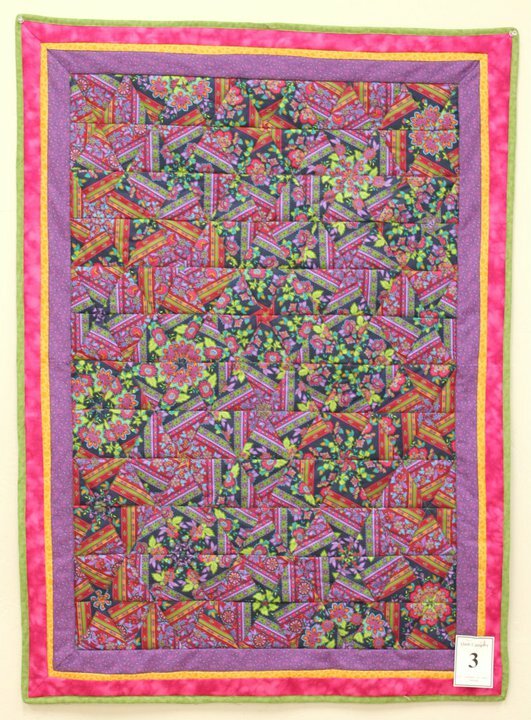 It was also a One-Block Wonder type quilt, but used twelve triangles per "hexagon" instead of six. 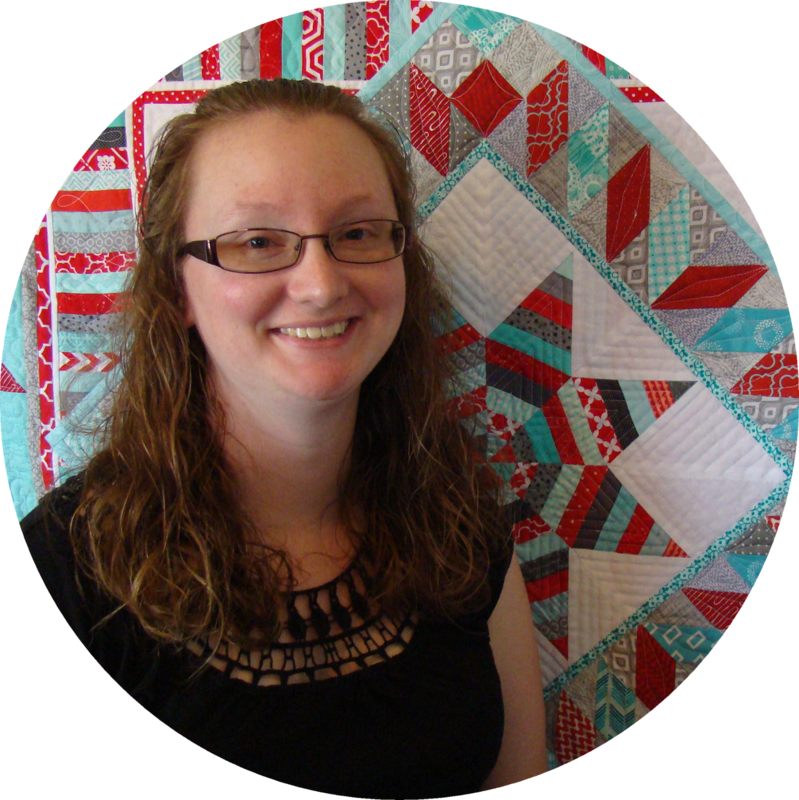 It was obvious the fourth entry was an experienced quilter, and my mom and I were much more novice. Here are the four entries. Quilt 1 was made by Cindi Secrist. 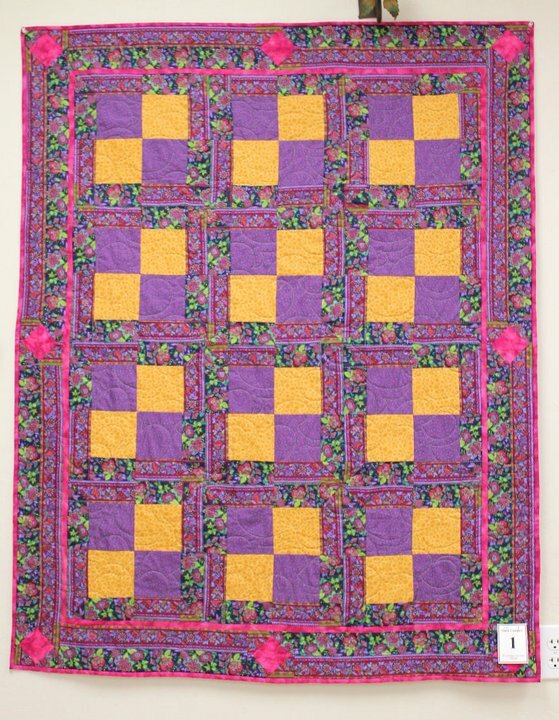 Quilt 2 was made by Linda Reschke (my mom!). 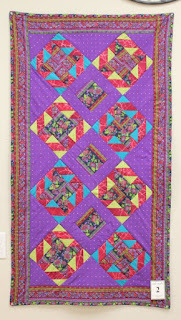 Quilt 3 was made by Laura Piland (me!). 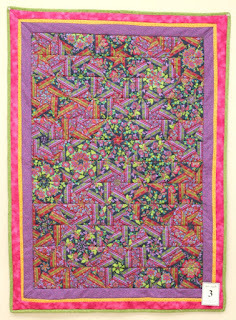 Quilt 4 was made by Judy Young. 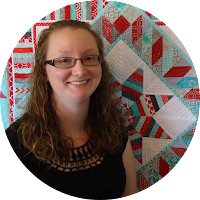 There was a voting period at the quilt shop where customers could vote for their favorite. My husband and I drove to the shop to see the entries (and vote!). While I wasn't looking, my husband stuffed the ballot box with votes for mine! There were two prizes - one for "Best Use of Fabric" and one for "Viewer's Choice." Needless to say, we didn't win. Quilt 4 won both prizes. We did each get a $5 gift card for participating. The quilt shop has not had any more ugly fabric challenges since! My mom didn't care for her quilt. She actually sold it at a garage sale! My quilt hangs in our spare bedroom. I love seeing it. It reminds me of how far I've come, to always challenge myself, and always try new things!